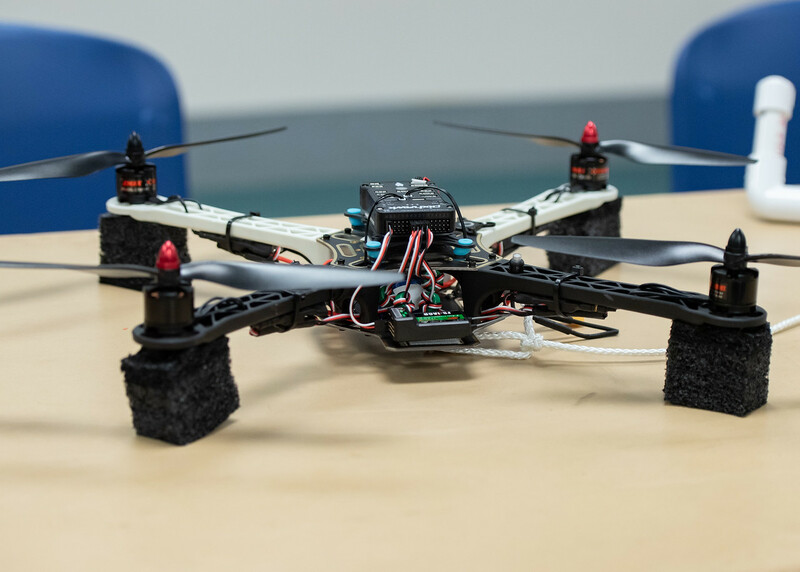 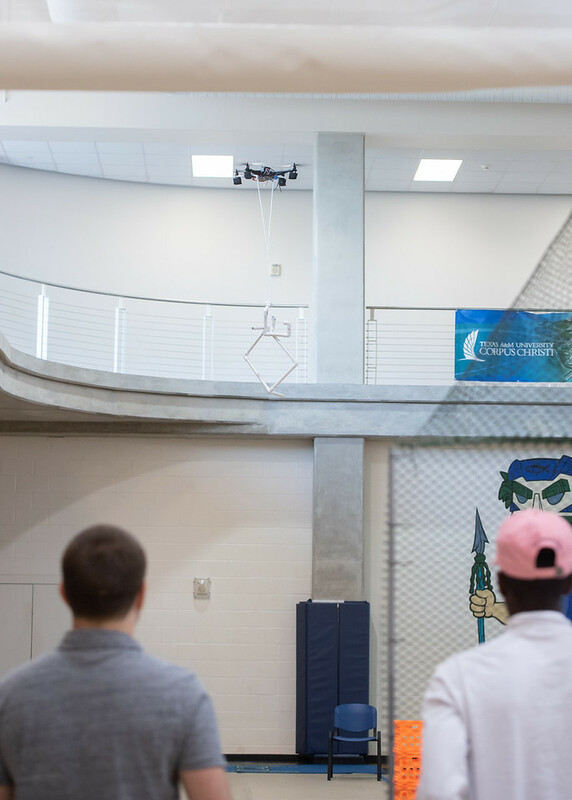 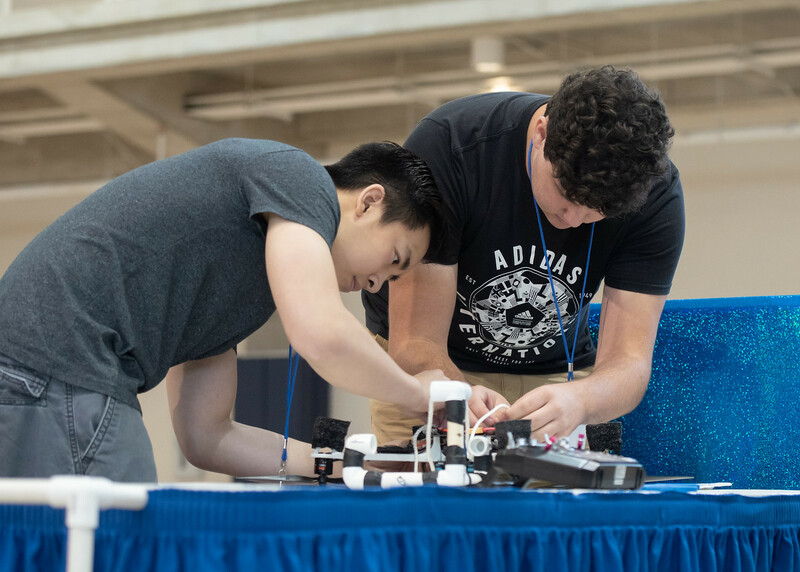 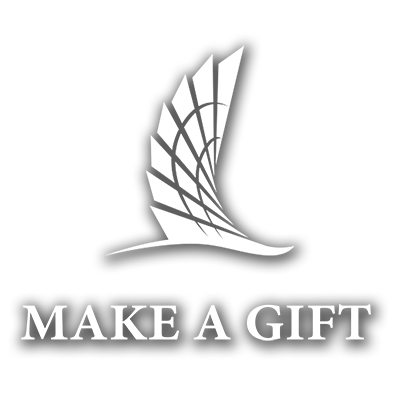 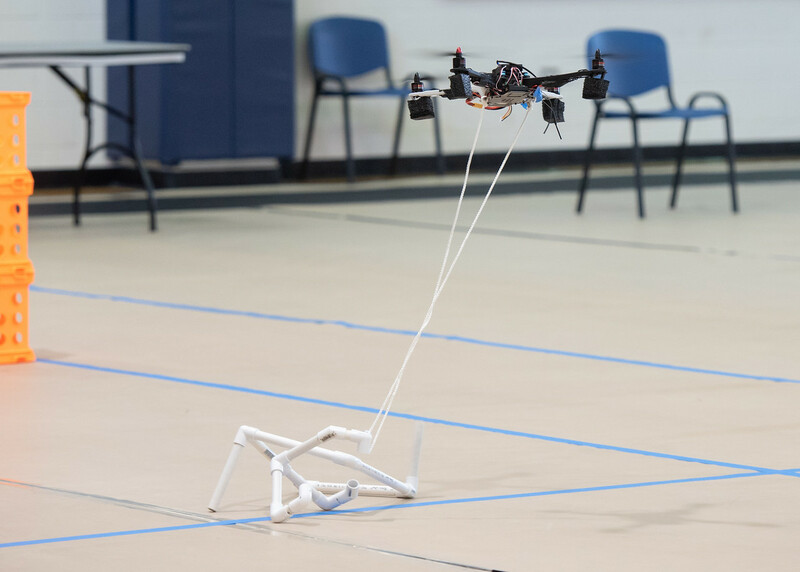 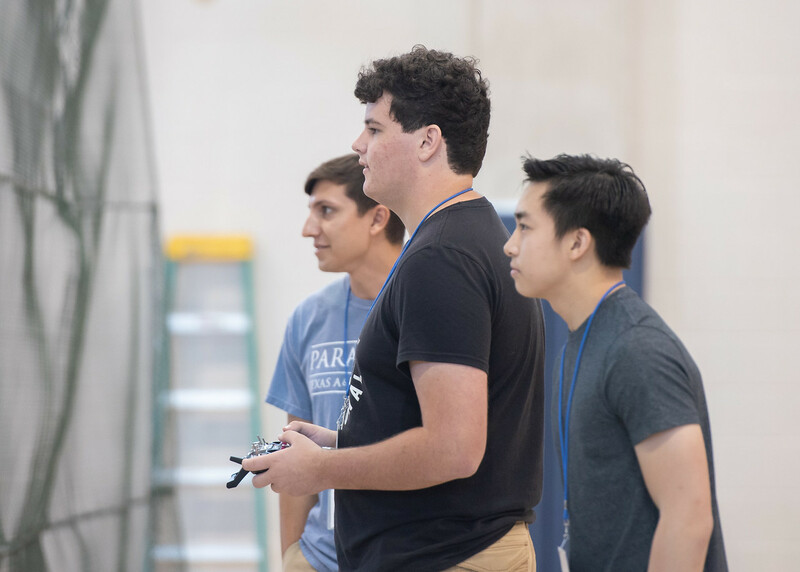 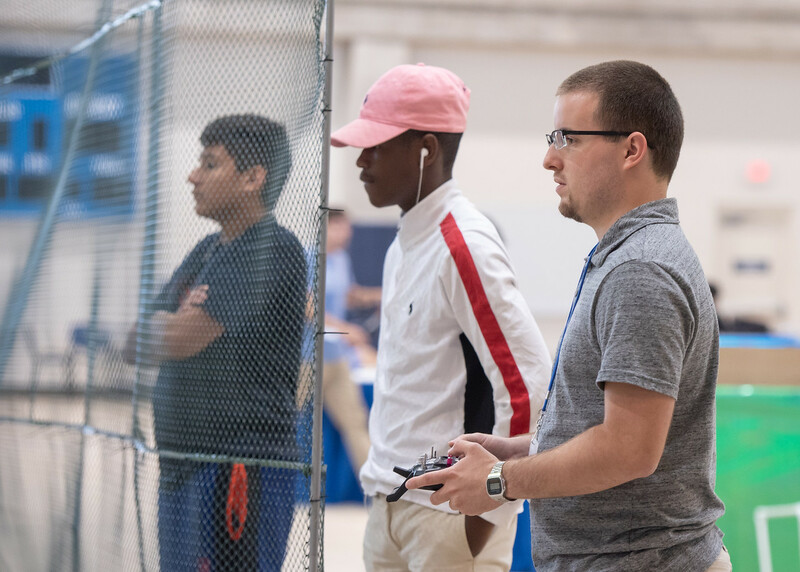 CORPUS CHRISTI, Texas – From conceptualization to realization, high school students got hands-on experience with creating and flying their own Unmanned Aircraft System (UAS) at Texas A&M University-Corpus Christi’s College of Science and Engineering 2018 UAS Summer Institute. 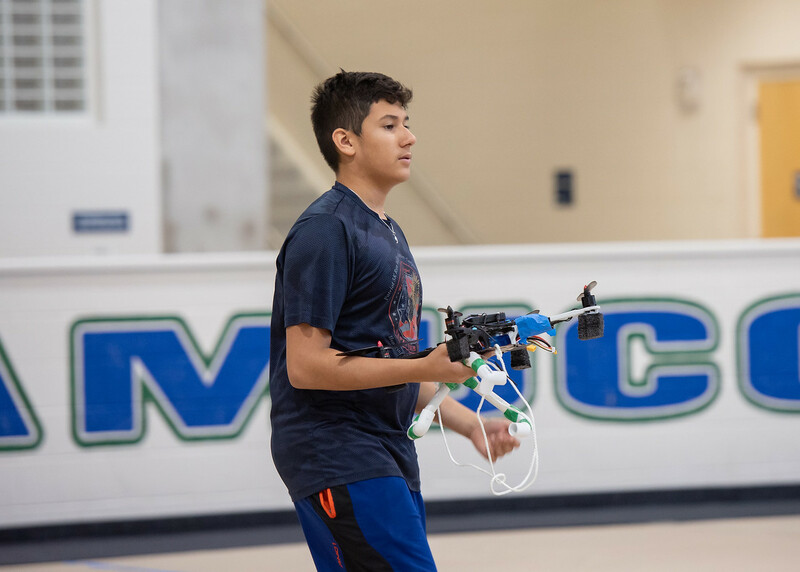 The week-long day camp drew a group of 13 students from around the Coastal Bend who were eager to learn about the inner workings of drones. 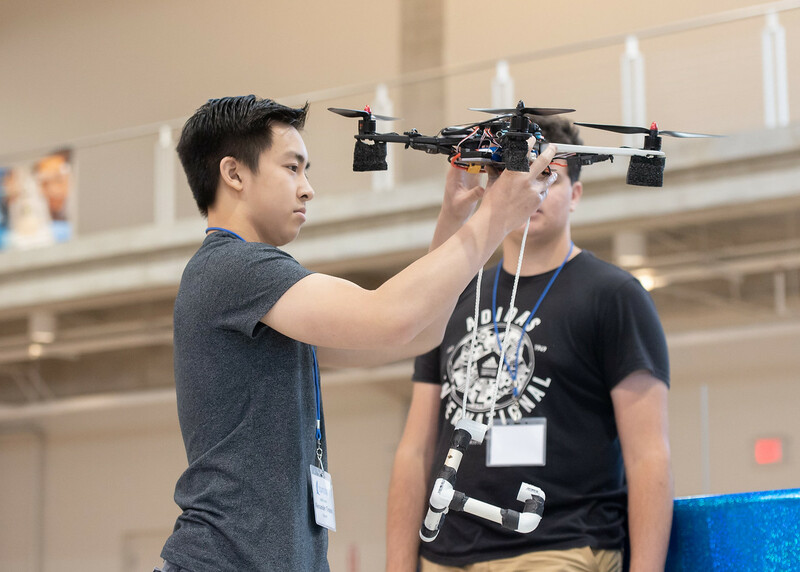 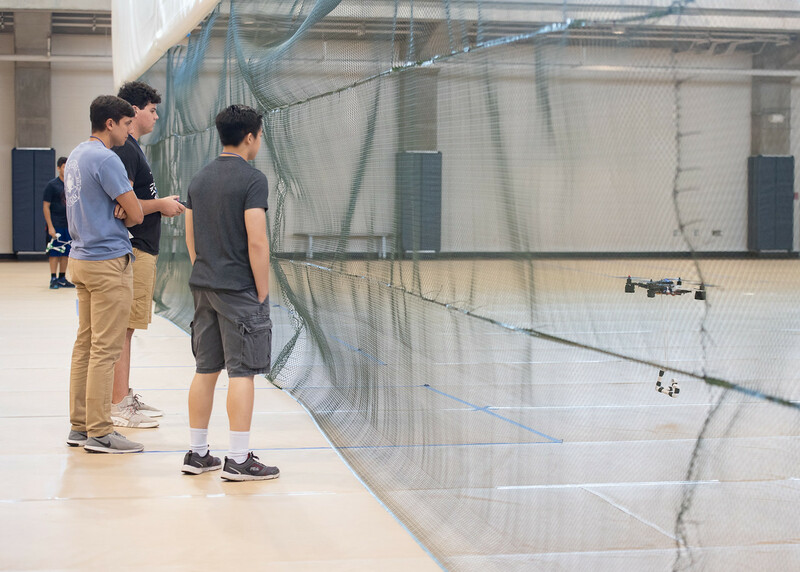 While past summers focused on UAS coding and software technology, this year put the spotlight on engineering. 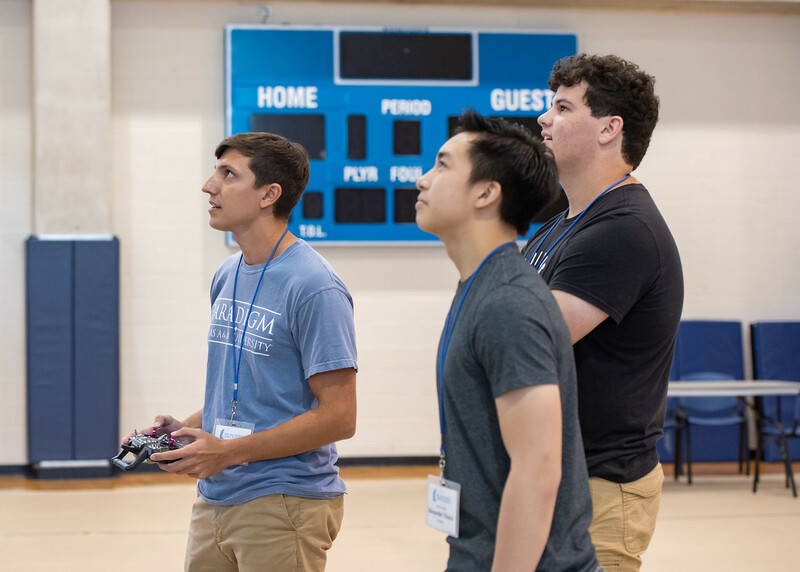 On the first day of camp, participants split into four teams and tackled the challenge of assembling their own quadcopter. 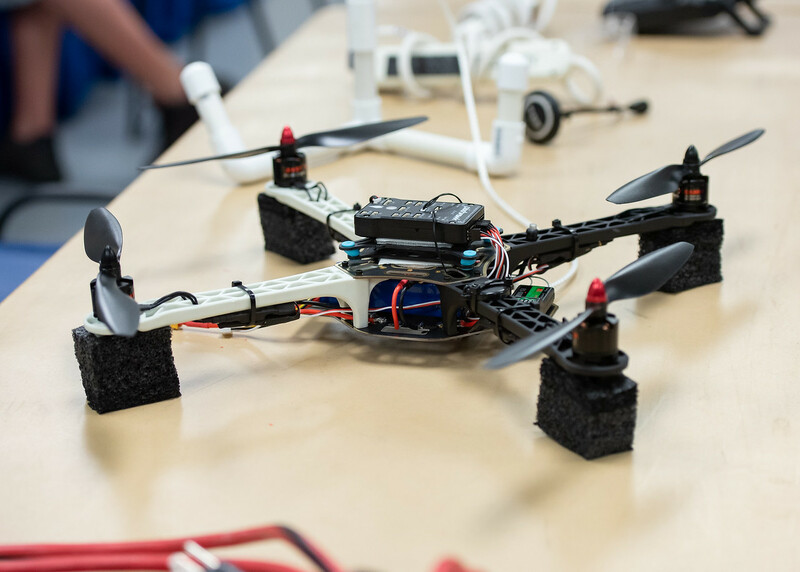 After a crash course in the engineering design process, students were faced with the task of wiring and programming their drones. 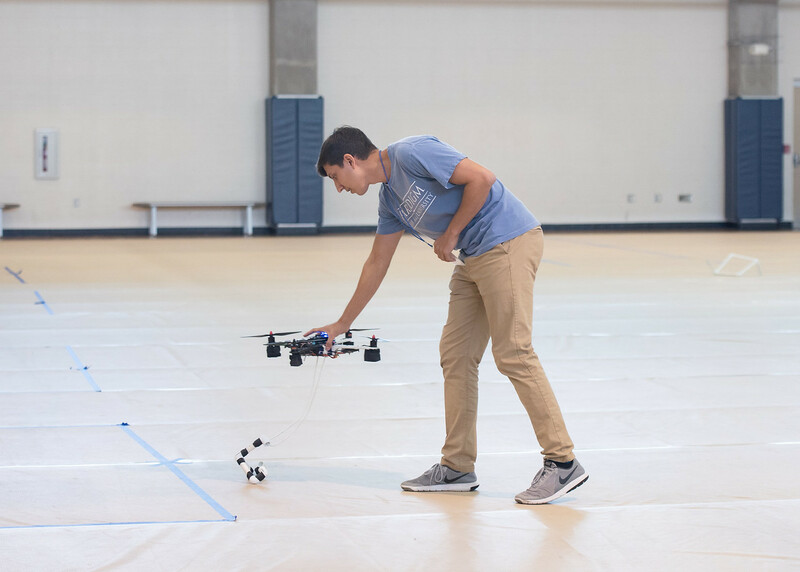 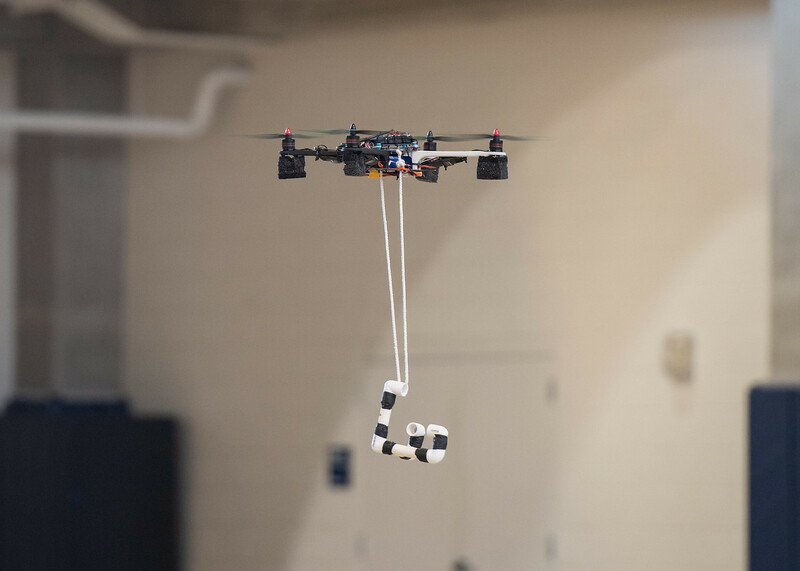 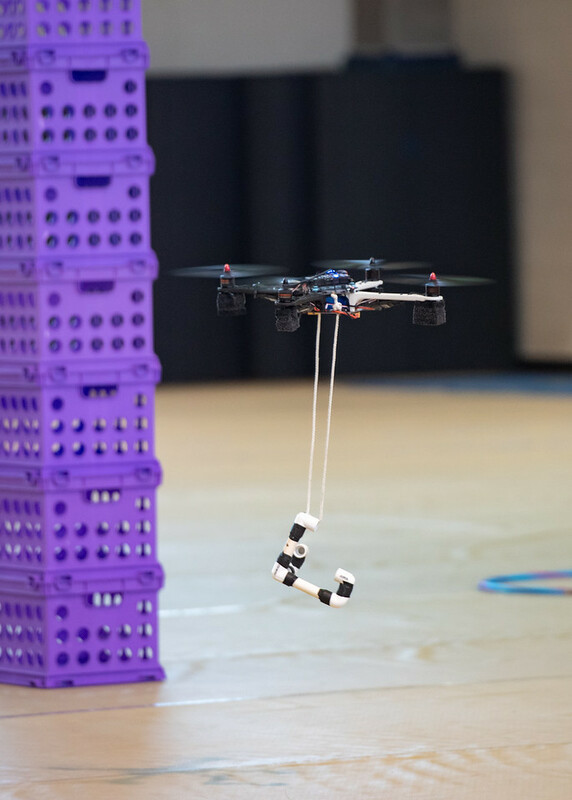 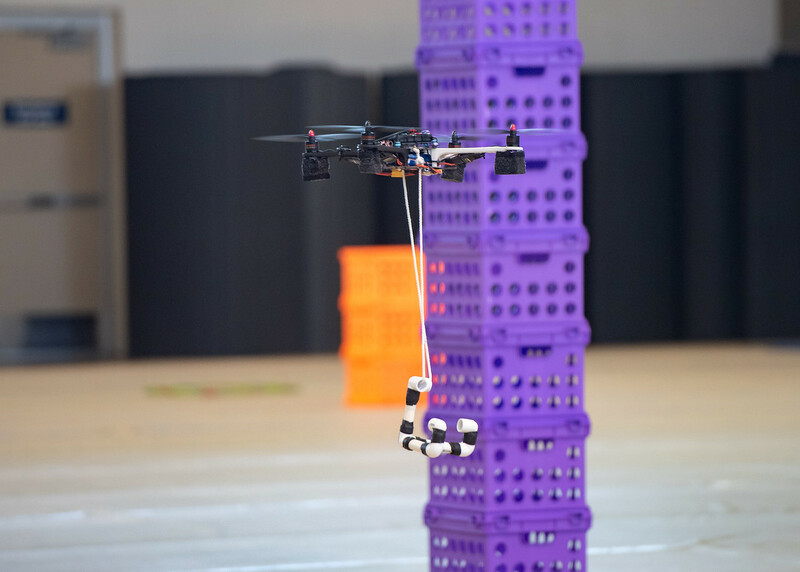 Through trial and error, campers learned how much weight a drone could carry and how many batteries it needs to operate. 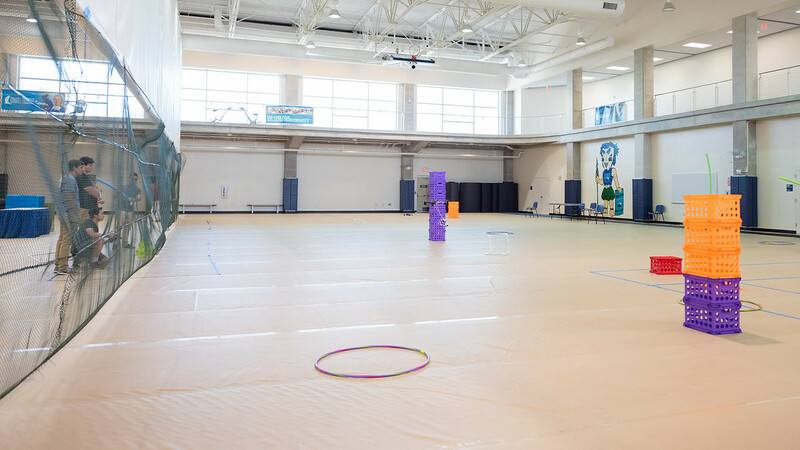 Toward the end of camp, each team took their creations to the Island Hall gym to watch their hard work take flight.